As versatile as it is delicious, try it blended with Brain Octane oil in Bulletproof Coffee. How to put Grass-fed Ghee in coffee, the Bulletproof way. Choose favorite brewing method and use 2 ½ tablespoons freshly ground beans for every 9 ounces of water. 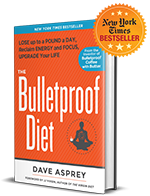 If new to Bulletproof Coffee, add 1 tsp Bulletproof Brain Octane to coffee, gradually increasing up to 1-2 Tbsp. Note: Ghee does not foam like butter when blended, so coffee may not have a frothy head. Don’t worry, it’s still nutritious and delicious! If you like the foam, try adding a scoop of Bulletproof Collagen Protein. It foams up really well, and provides a great protein boost. Bulletproof Ghee is thoughtfully produced in the traditional method by slowly heating grass-fed butter, carefully removing the moisture and milk solids resulting in pure, clarified butterfat that preserves only the best parts of butter. Naturally gluten-free and non-GMO, Grass-Fed Ghee is the perfect expression of buttery goodness. As versatile as it is delicious, try it drizzled over any food to upgrade meals and power every day. What can you do with ghee? Grass-fed Ghee’s high smoke point of 485°F make it great for most cooking applications, and all-around pantry staple. This means ghee-cooked foods, like roasted veggies, will not have oxidative damage that other, less stable cooking fats might. Cook, roast, bake, spread, drizzle, sauté, rub, glaze, brush…you get the picture. The uses of Grass-Fed Ghee are endless. Ghee can be consumed at any time of the day. Blend it into Bulletproof Coffee for breakfast, or add it to meals throughout the day. Try it as cooking oil or drizzled over any food to upgrade meals. I can’t stomach most Ghee’s mainly because of the taste but BP ghee is not your regular ghee. Rich flavor. Not as foamy as butter in the coffee but taste is great and tastes great with steaks. Oh my!! This is SO good – the best tasting ghee I have ever had. SO good that not only do I want to put it in my coffee and everything else, I am unable to stop eating it with a spoon! Expensive habit at the rate I’m going. In this warm weather, at least, it has the consistency of marshmallow creme, not waxy hard like other ghee I’ve had. 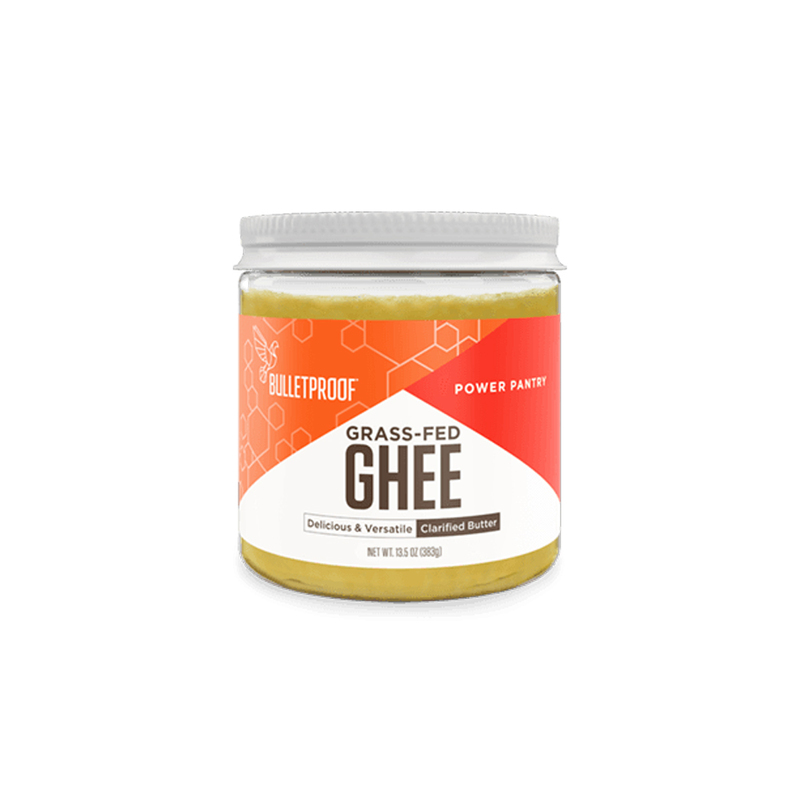 I am really excited that Bulletproof started ghee! This Ghee is a super food! Delicious & nutritious ! Love it in my Coffee! Thanks Bulletproof ! This is seriously the best smelling ghee I have ever experienced! It has a great flavor as well and I absolutely will be purchasing it again. I have been a lover of bulletproof coffee for a long time but had to stop drinking it because mid day I would get a lethargic feeling. Allergy test revealed highly allergic to casein and lactose. Stopped using the butter the feeling went away. My naturopath recommended i try ghee, in my ketogenic diet he was worried I’d be missing out on butter which he considers a super food. I tried organic valley ghee and the lethargic feeling returned. a few months later i tried bulletproof ghee and felt amazing! no issues with the mid day crash. awesome product!